When your extended family gathers around the table on Thursday to eat food and chat, the inevitable, “How’s college?” question will arise. 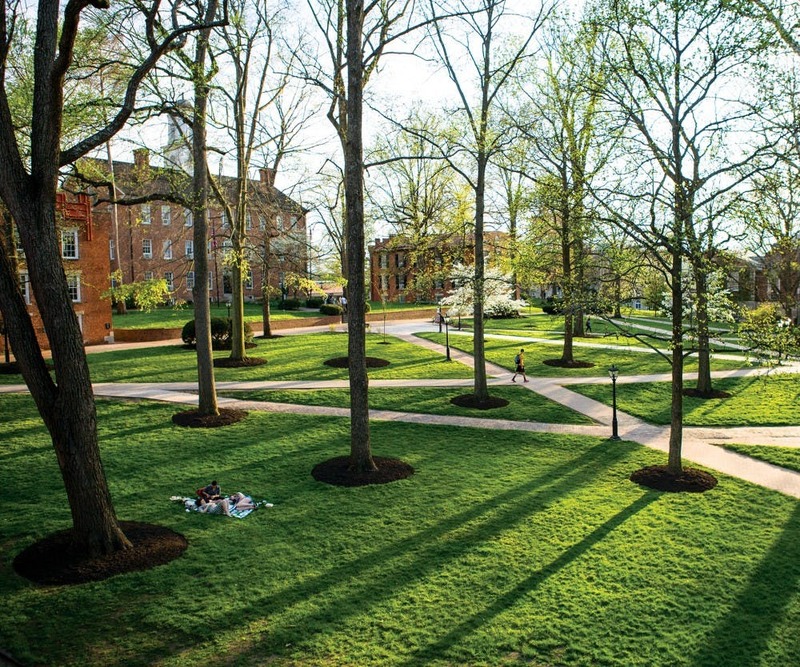 Here are some talking points about Ohio University to bring up at the dinner table. 1. This was Pumpkin’s month. No, it’s not because it’s Thanksgiving and we’re about to eat pumpkin pie. It’s because Pumpkin the cat, everyone’s favorite part of walking past the Board of Elections window on Court Street, finally got the love and attention he deserved during election season. He was more than just a spectacle to be looked at through the BOE window: he was an active participant in the demo-cat-ic process. 2. We have the most romantic (and famous) professors around. I’m sure we all recall the heartwarming story that captured national attention about our very own assistant professor Dan West. After a student in his Introduction to Human Communications class posted this tweet, his story went viral and he garnered attention from national media, including Buzzfeed. 3. Athenians can now smoke weed without penalties (well, sort of). On Election Day, 2,000 Athenians cast a vote to penalize misdemeanor marijuana charges within city limits. The Athens Cannabis Ordinance voids fines for those misdemeanor charges to decrease the incentive for officers to enforce marijuana laws. But before your mom freaks out — the new ordinance doesn’t apply to citations on OU’s campus. 4. We take care of our Athens pets. 5. Speaking of furry friends, Tumbles, the two-legged pup is now two years old. Tumbles, the local two-legged dog that captured national attention a few years ago, just turned two in September. He no longer uses the 3-D printed wheels the OU Innovation Center printed for him; rather he opts to hop around on his stomach or walk on his hind legs. 6. The infamous “Cocaine Plane” pilot was sentenced to eight years in prison. Remember when authorities discovered more than 300 pounds of cocaine on a plane that unexpectedly landed in Athens earlier this spring? The verdict’s out, and the Canadian man who landed the plane was sentenced to serve eight years in prison. 7. Quit it with the “OU is only a party school” thing already. OU didn’t make the cut for the top 20 party schoolsfor the second year on the 2018 Princeton Review. Despite the number one rating in 2011 and third place ranking in 2012, we fell off the list completely in 2016, but we were listed in The Best 382 Colleges, Best Midwestern and Green Colleges. Originally published for The Post on November 20, 2017. Great story. You do have a great sense of humor! Thanks for the great ideas. I am looking forward to some fun and interesting conversation at Thanksgiving.